In the late 20's, Europe was mired in a crisis of democracy. Shaken by the upheavals of emerging fascist and communist regimes, followed by the economic devastation of the post-war, Portugal, like other countries, was affected. The country's situation after the First Republic (1910-1926) was chaotic, with successive governments, one after another, succumbing to the unstable times. A new political regime was in order and the Republic was overthrown by a dictatorship that positioned itself far from recent liberalism. António de Oliveira Salazar was the key figure upon whom the design of the New State depended. The new regime that emerged out of the military coup of May 28th, 1926, was formally established with the approval of the 1933's Constitution. This was one of Salazar's first major victories. 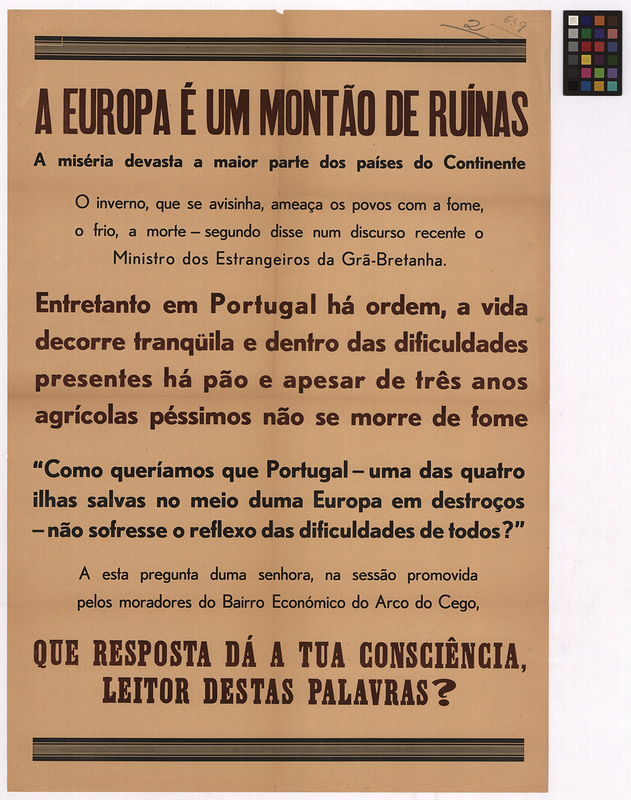 Posters in Portugal's National Archives show how the government communicated with the public. 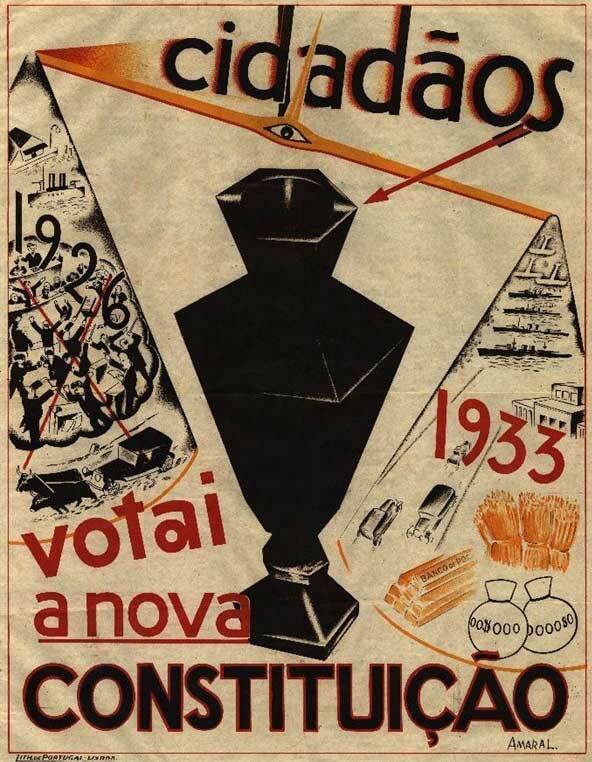 Many were text-only messages, designed to convince the citizens (who could vote at the time) to accept these new ideas. Some kept the request simple: "Vote for the new Constitution!" 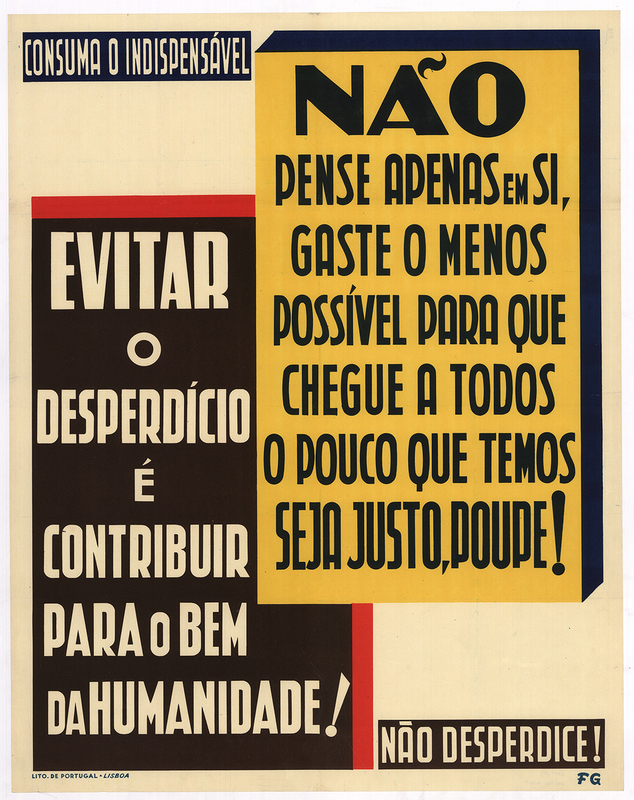 The Decálogo do Estado Novo (1934) was modeled on the idea of the ten commandments that broadcast the values of the Estado Novo.